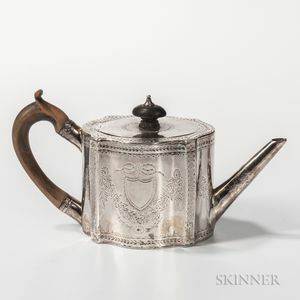 George III Sterling Silver Teapot, London, 1797-98, George Burrows I, maker, with engraved neoclassical swags and cartouches to body, ht. 5 1/4 in., approx. 14.0 troy oz.